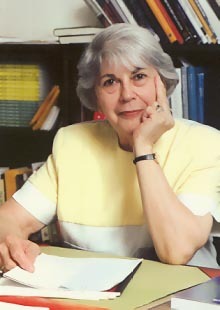 Commendatore Anne Paolucci, Ph.D., winner of the prestigious Golden Lion Award (Order of the Sons of Italy in America, 1997), and the NYS Elena Cornaro Award (OSIA, 1979) and the first national Elena Cornaro Award (OSIA, 1993), former member of the National Council on the Humanities and former (first woman) Chairperson of the Board of Trustees of the City University of New York, recently retired from a distinguished career as a professor of English, and Fulbright Lecturer (CCNY and St. John's University, University of Naples). She is an award-winning playwright and poet and also writes fiction. 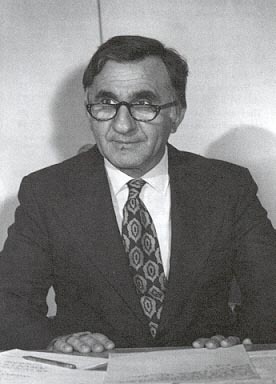 Henry Paolucci, Professor Emeritus of Government and Politics at the time of his death (January 1, 1999), was a renowned teacher (CCNY, Brooklyn College/CUNY, Iona College, St. John's University), Vice-Chairman of the Conservative Party of New York and U.S. Senate Candidate (1964). On June 3, 2003, he was posthumously awarded with the decoration of "Cavaliere in the Order of the Republic of Italy". Click here for more information. Together and separately, Henry and Anne Paolucci have contributed dozens of books and publications on a wide variety of subjects over the past fifty years (including, but not limited to: Political Science, Literature and Philosophy, Fiction, Plays, Poetry, translations). All publications listed are available for sale through this site. DR. PAOLUCCI'S MEMORIAL SERVICE WAS HELD AT THE ANNE and HENRY PAOLUCCI CONFERENCE CENTER, SUNDAY - SEPT 23, 2012 AT 3 P.M.